The former CEO of SNC-Lavalin has lashed out at allegations made by an unnamed company insider, denying taxpayer-backed loans from Canada were ever used to pay bribes under his watch. “People who talk behind the scenes — they are just chicken,” said Jacques Lamarre in an interview with CBC News. CBC News is not naming the SNC-Lavalin insider, who worked on numerous EDC-backed projects, as he fears for his job. EDC is a Crown agency that provides financial backing and insurance to Canadian companies operating in other countries. Over the past 25 years, EDC has provided up to $4.7 billion in loans to SNC-Lavalin. The agency says the claim from the insider has prompted it to hire outside legal counsel to review at least one former deal with SNC-Lavalin. Lamarre was CEO of SNC-Lavalin from the mid-1990’s until 2009. The Quebec business mogul was in charge of thousands of projects — some of which became mired in corruption and bribery allegations, resulting in numerous police investigations and, in 2014, the conviction of the head of the company’s construction division. He says “technical fees” were often used to hire local staff in foreign countries where it was “very difficult” for SNC-Lavalin to establish operations. According to Lamarre, all contractors were required to sign agreements stating they were not to use money for illegal payments such as bribes or kickbacks. 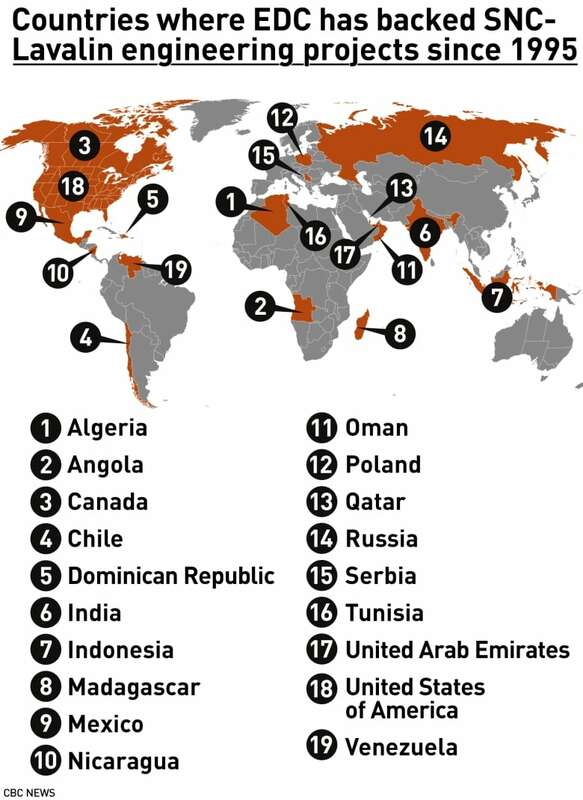 Lamarre insists paying bribes was not necessary, despite operating in some of the world’s most notoriously corrupt countries. Out of the 26 SNC-Lavalin projects EDC has backed since 1995, the agency is reviewing one project in Angola flagged by the insider as involving illicit payments. EDC provided political risk insurance to SNC-Lavalin on a $250-million deal to repair the Matala hydroelectric dam. “Based on any outcomes of the review, we will carefully examine whether we need to expand the scope,” wrote EDC spokesperson Jessica Draker. “We would welcome the opportunity to meet with your source regarding his or her concerns,” Draker added. It’s unlikely EDC will make its findings public, as the agency says it doesn’t discuss details of its agreements with clients, including how much money SNC-Lavalin currently owes EDC. The insider also alleges EDC signed off on SNC-Lavalin’s technical fees, counting them as Canadian expenses, while knowing the payments were destined for foreign contractors. (EDC requires projects to meet certain “Canadian content” quotas to be eligible for financing, as the agency exists to support Canadian exports). EDC has not directly answered questions put to it by CBC News about this claim. SNC-Lavalin, this week, declined to comment. Former CEO Jacques Lamarre acknowledges the foreign payments were counted as Canadian expenses. “I have no good answer for that,” Lamarre said, insisting EDC was fully aware of SNC-Lavalin’s budget details. In recent years, SNC-Lavalin has faced a string of bribery scandals both in Canada and abroad, including corruption allegations tied to EDC-backed projects in India, Angola and Algeria. The company is also facing criminal prosecution in Canada for alleged offences in Libya between 2001 and 2011. One company executive has already pleaded guilty to bribery and fraud in connection with contracts in that country. A judge in Montreal will rule next month on whether the Quebec-based engineering giant itself should stand trial. 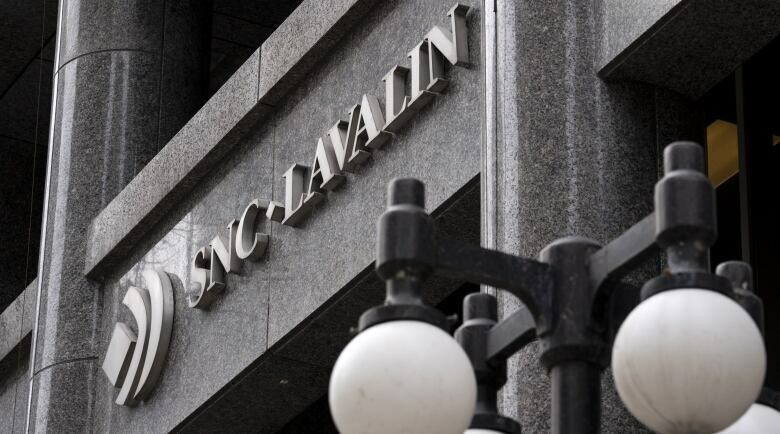 If convicted, SNC-Lavalin could face a 10-year ban from bidding on federal contracts. Lamarre says he never knew of — or sanctioned — bribery and says any instances where it occurred were isolated, and the result of lone, corrupt employees. The company has been lobbying for a deferred prosecution agreement, which former attorney general Jody Wilson-Raybould opposed. Prime Minister Justin Trudeau replaced her in January with a new attorney general who could still intervene and impose a settlement that would not bar the company from federal work.